There is now pending legislation in the United States Senate and the U.S. House involving the diversion of justice-involved individuals with behavioral health disorders from standard prosecution. Both bills use the Sequential Intercept Model (SIM), developed by Mark Munetz and Patty Griffin, in collaboration with Hank Steadman, as an organizing tool to help structure the proposed law. What is the SIM? How can it be used? Deciding on appropriate and fair dispositions of cases in which individuals who have behavioral health problems such as mental illness, substance abuse, or trauma symptoms, is very challenging. Using standard prosecution means that such individuals, some of whom would not re-offend if provided with appropriate treatment, are instead convicted and perhaps incarcerated. Returning to the community following incarceration, they face the same challenges they experienced prior to jail or prison. The standard process of arrest, conviction, incarceration, and standard reentry is simply not the best approach for many such individuals. Various kinds of support for this conclusion have been growing for years. 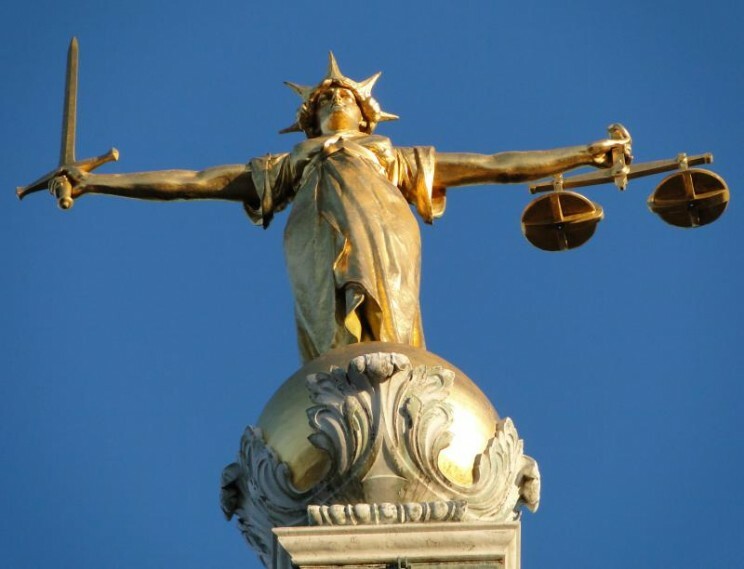 Therapeutic jurisprudence is a legal philosophy describing how the law can act as a therapeutic agent–in this case, to provide appropriate services while simultaneously reducing the risk of re-offending–rather than serving a primarily punitive influence. Treatment in the community is less expensive than incarceration in a jail or prison, or involuntary commitment to a hospital. Some people really do commit crimes that are basically a public display of behavioral health problems. For these individuals, being provided with the appropriate treatment in the community can both promote behavioral health and reduce the cost and public safety risk to society. Statue Of ‘Justice’ Old Bailey by Lonpicman. CC-BY-3.0 via Wikimedia Commons. But how do we decide on where to intervene? How do we make well-informed decisions about those who are appropriate for non-standard diversion versus those who need prosecution and incarceration as usual? This is where the Sequential Intercept Model can be useful. The model identifies five points of “interception” that include first contact with police, first appearance, jail incarceration following arrest, reentry planning while incarcerated, and specialized parole after returning from incarceration. Each of these points can focus efforts to develop alternatives to standard prosecution. For example, at the first intercept (initial police contact), training police officers in specialized police responding such as Crisis Intervention Team (CIT) provides officers with a better understanding of behavioral health problems and additional tools for dealing with such problems without unnecessarily escalating an already-tense situation. Another example involves “problem-solving courts” such as drug court, mental health court, or veterans court. Clients enter problem-solving court because they have the potential to respond to rehabilitation in a way that both improves their lives and reduces the risk that they will commit another crime. The SIM can help communities consider their current criminal justice and behavioral health system functioning, and decide whether and how they would like to provide alternatives to standard prosecution. It can help practitioners make sense of both systems, and administrators and policy-makers to use their available public funding most efficiently. It can help legislators collaborate in proposing needed legislation that is likely to be effective. 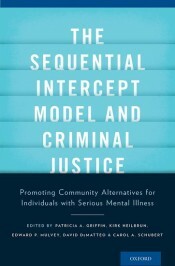 Patricia A. Griffin and Kirk Heilbrun are two of the editors of The Sequential Intercept Model and Criminal Justice published by Oxford University Press. Edward Mulvey, David DeMatteo, and Carol Schubert are the other editors. All five editors are associated with the Pennsylvania Mental Health and Justice Center of Excellence. Patricia Griffin, PhD, is an independent consultant who is also associated with the Justice Center of Excellence, SAMHSA’s GAINS Center for Behavioral Health and Justice Transformation, and Policy Research Associates. Kirk Heilbrun and David DeMatteo are on the faculty of the Department of Psychology at Drexel University. Ed Mulvey and Carol Schubert are at the Western Psychiatric Institute and Clinic and the Department of Psychiatry at the University of Pittsburgh.